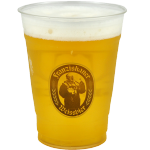 Our plastic cups are mostly used for cold beverages like juice, smoothie, beer, ice coffee etc. We produce many different types of cups and in different types of material in order to provide the right type of cup for your intended use. The PET cup is ideal for smoothies, fruit juices and iced coffees. 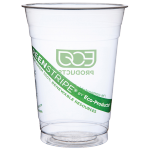 These ultra clear cups will present the content in the best thinkable way while the printing will enhance your visibility. The PP cup is mostly used for beers and bubble tea. Just like all of our other cups these are printable. Furthermore, these cups are also sealable which makes them perfectly suitable for bubble tea and for take away in general. PLA Cups are “Bio plastic” cups in general speech. 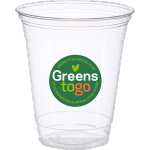 These cups are made from PLA which makes them 100% biodegradable and compostable. The PLA cups have the same clarity and print capability as the PET cups. For details regarding plastic cups, please contact us or download our product catalogue.